Italy’s famous Insalata Tricolore mimics the colors of the Italian flag, a simple and delicious salad recipe that’s complements so many dishes. It’s perfect for any occasion. Here’s a salad to brighten your day. Insalata Tricolore is simple, colorful, and elegant. There are no frills, just a bowl of leaves – so pretty and fun to eat because of the strong personality of each type of lettuce, and how well they complement each other. 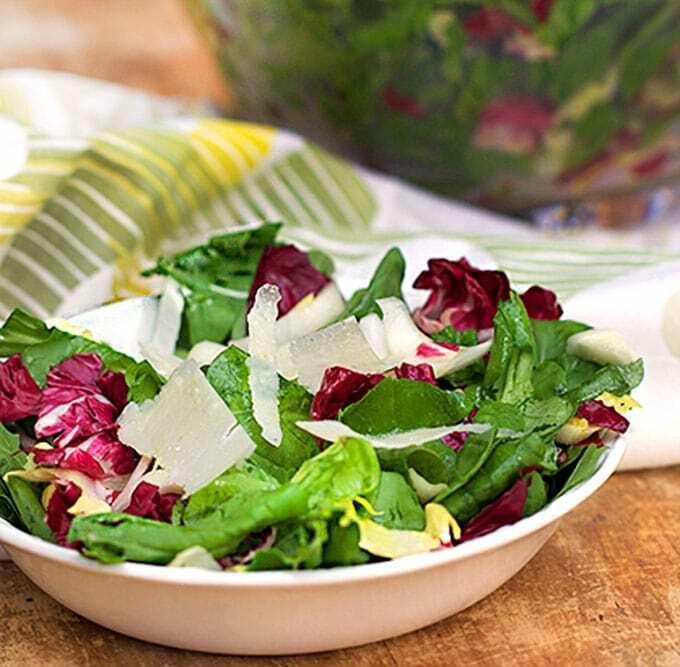 The Italian term, “Insalata Tricolore,” means “salad of three colors.” The green one is rich, peppery arugula. 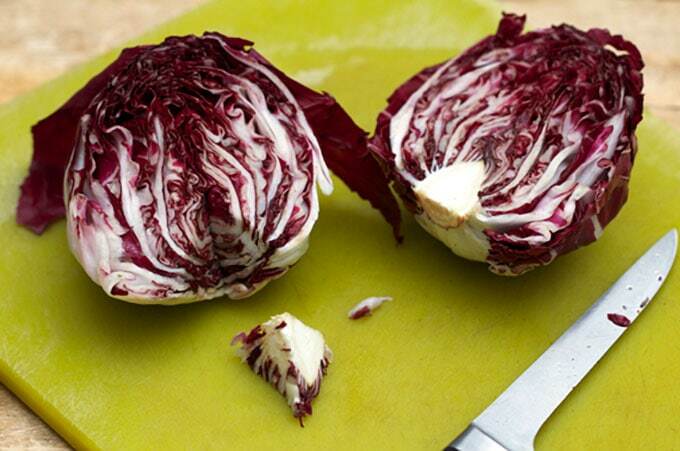 The red is radicchio – thick, cabbagy and slightly bitter (in a good way). 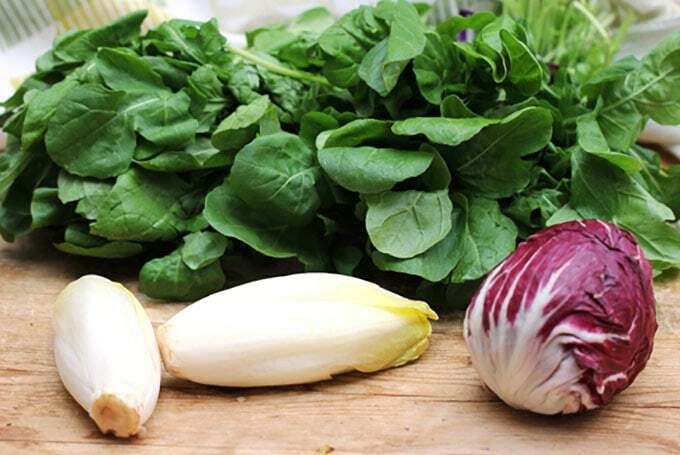 Endive is the third – white, light and crunchy. 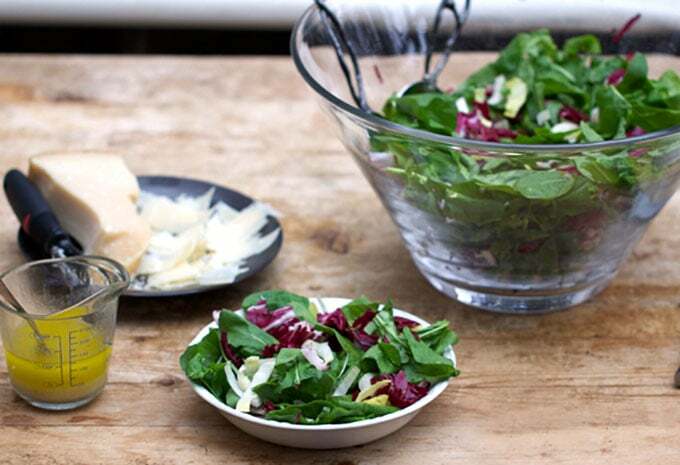 In Italy, the dressing for this salad is just a drizzle of good quality olive oil and red wine vinegar, and a sprinkle fresh ground pepper – delicious. Or you can mix up a fresh lemony dressing with a hint of garlic, as I do here. 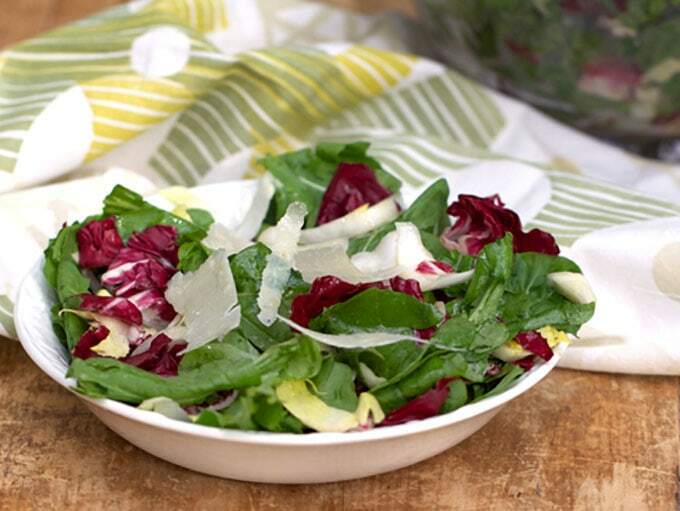 When you don’t have an occasion to buy fancy lettuces like radicchio and endive, try other tricolore combinations. 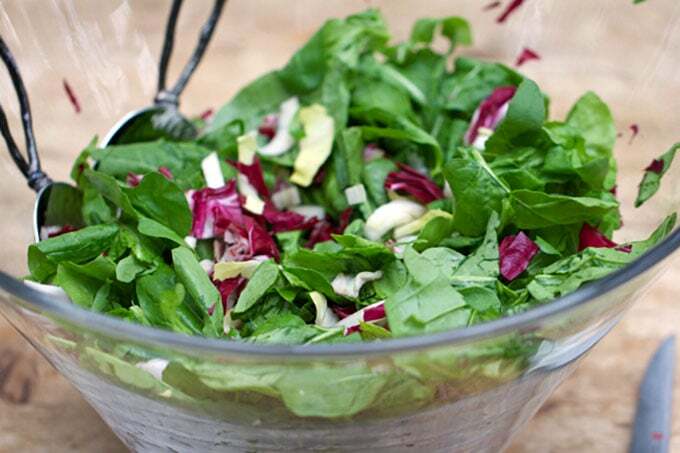 One of my favorite every-day salads is this trio: Arugula, thinly sliced red cabbage, and slivers of avocado, with the same lemony dressing. A salad can be so many things. This one is about great lettuces in perfect harmony. Here’s the recipe for Italian Insalata Tricolore. If you try this recipe I hope you’ll come back to leave a comment and let me know what you think. This salad is absolutely delightful. It’s simple, yet so pleasing to the palate. The vibrant colors elude correctly to a flavorful, bright and light meal! 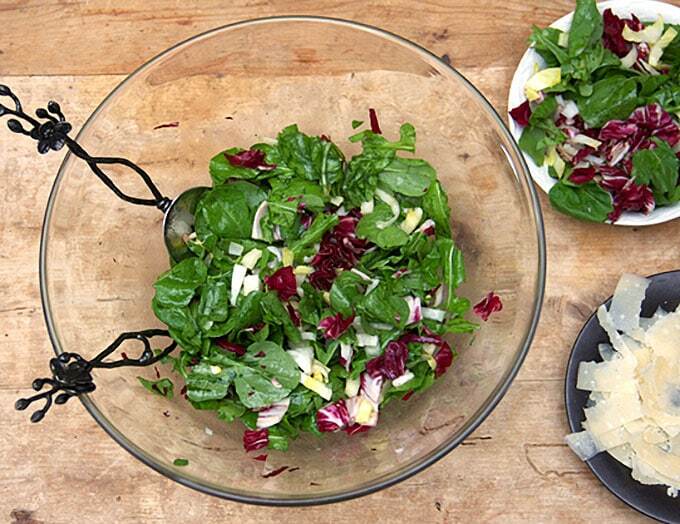 A classic salad, the nicer the parmesan the better! Love this salad and I am using it again this warm summer evening. It is so refreshing and has a great bite from the dressing and cheese. I could eat bowls of it. It also looks beautiful too.